If the user loses their password, they can retreive their password by selecting the "Lost Password" link at the bottom of the sign in form. 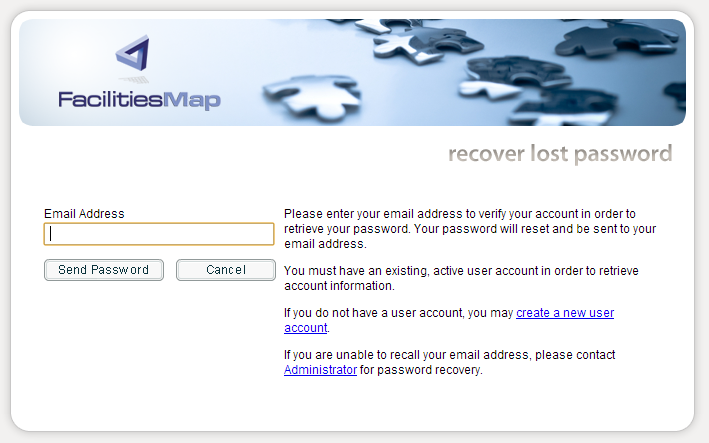 The user must enter their email address to verify their account in order to retrieve their password. The password will be sent to the email address used during the sign up process. The user must have an existing, active user account in order to retrieve account information. If the user does not have a user account, they can create an account using the "Register for account" link on the sign in form. If the user is unable to recall their email address, they will need to contact the site administrator for password recovery.